above two branches of rosebush. Above the monogram the name of the country between two points and the name of the engraver. 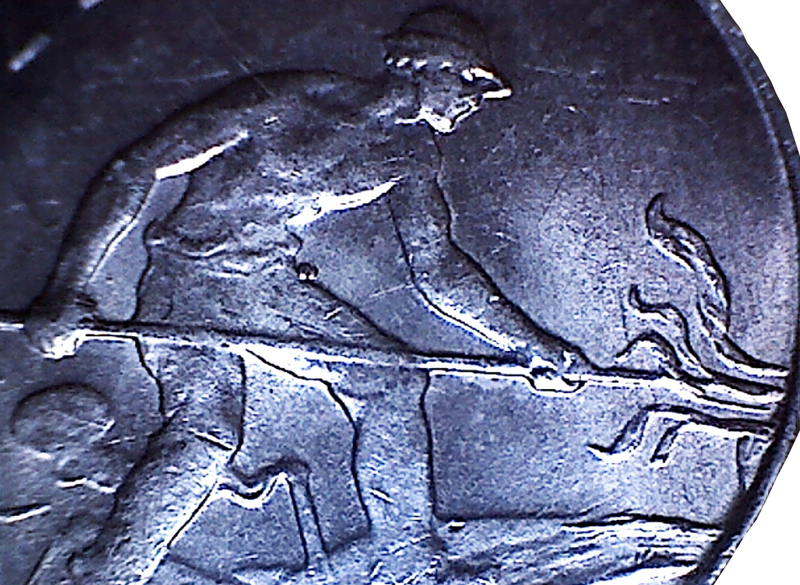 A puddler (Feierstëppler) at work, symbol of the Luxembourgish steel industry surrounded by legend, facial value and mint year at the bottom. In the background blast furnaces and at 8 o'clock the initials of the engraver. 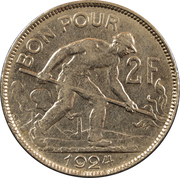 This coin was minted at the Brussels mint in order to replace the coupons created in 1914 and 1918 (mention "BON POUR"). 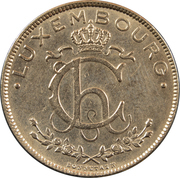 The Feierstëppler symbol first appeared in 1924 on the 1 franc coin (KM# 35) and 2 francs (KM# 36) and was subsequently used to engrave coins of 50 centimes, 1 franc and 2 francs. 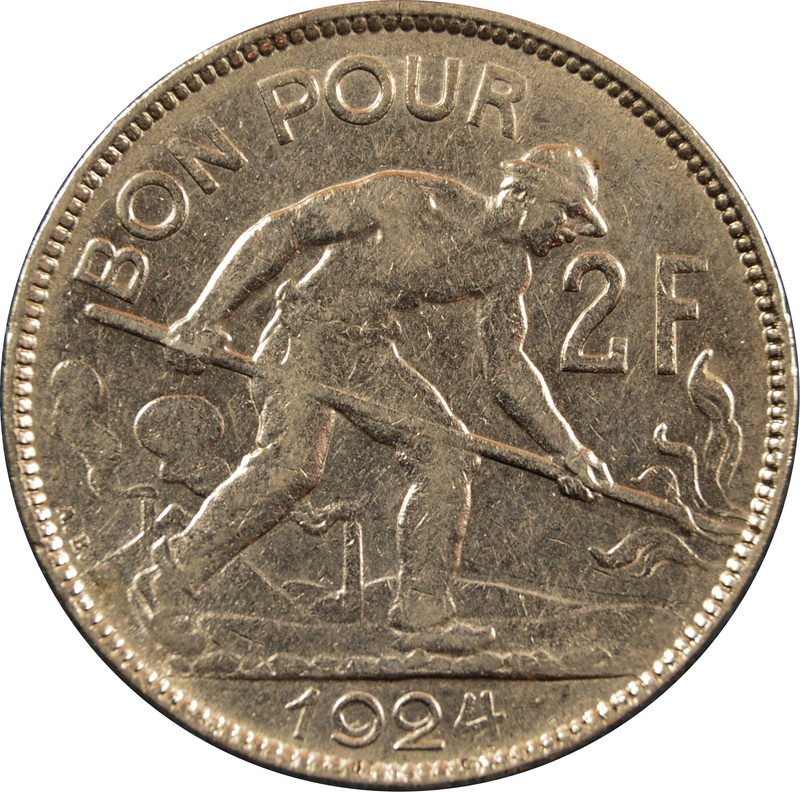 The Feierstëppler (a puddler) was one of the most dangerous jobs in Luxembourg's blast furnaces. The story tells that Augustus Trémont, a Luxembourg artist and sculptor, was impressed by the sturdy stature of Mathias Gaasch, a steelworker, and decided to make it his model. Armand Bonnetain later used it to draw the engraving of his pieces. 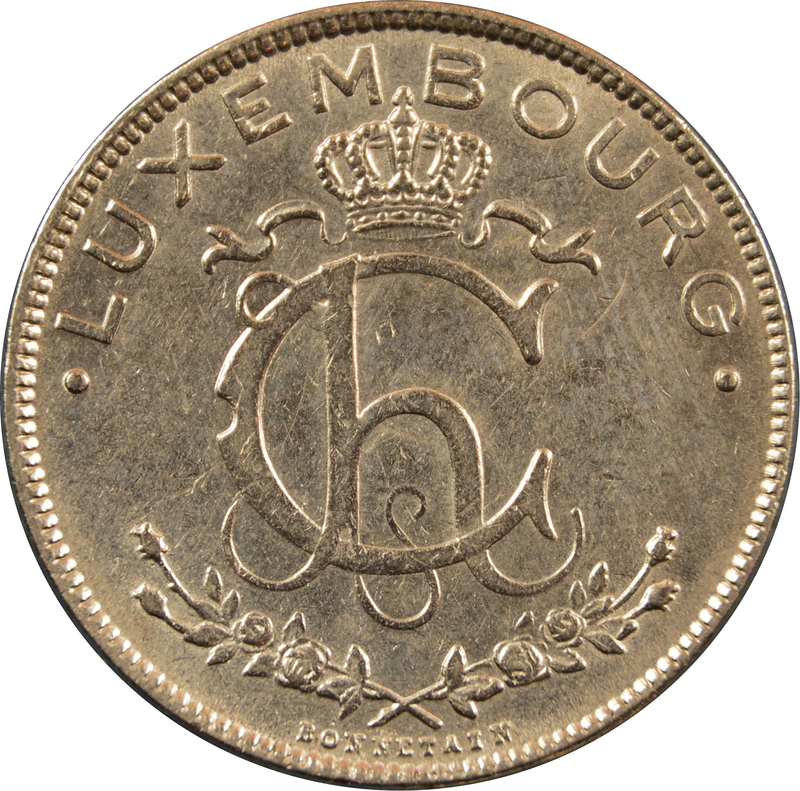 The withdrawal of this type was ordered by the ministerial decree of 3 August 1929.